Dinner variety and ideas are hard to come by, especially when you are trying to find healthy tasty options and time is never on one’s side right? Tonight I decided to try something I had tasted before made by a lovely lady called “Maria”! 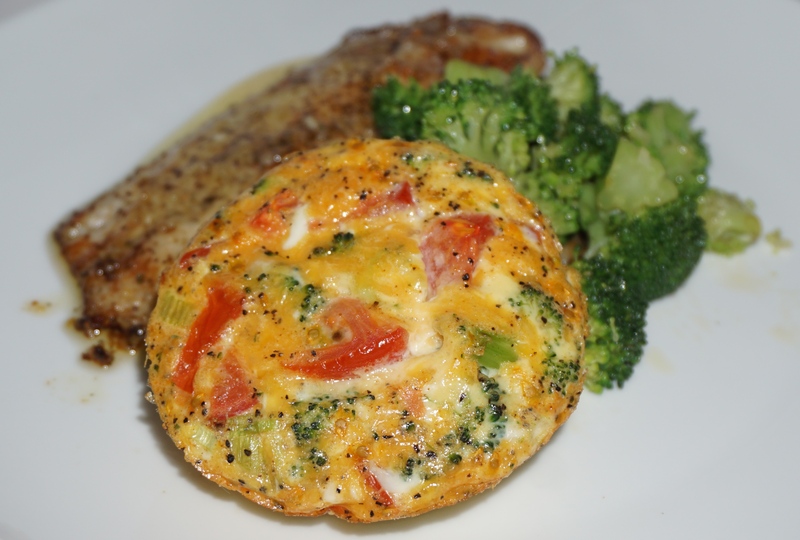 Maria introduced me to her wonderful crustless Weight Watchers Quiche so I decided, why not give it a go and introduce it to the family? Spray four 8oz ramekins with nonfat cooking spray and preheat the oven to 350 Deg F. Place ramekins on a rimmed baking pan. In a bowl, whisk together the egg whites, milk, paprika, garlic powder, onion powder salt and pepper. 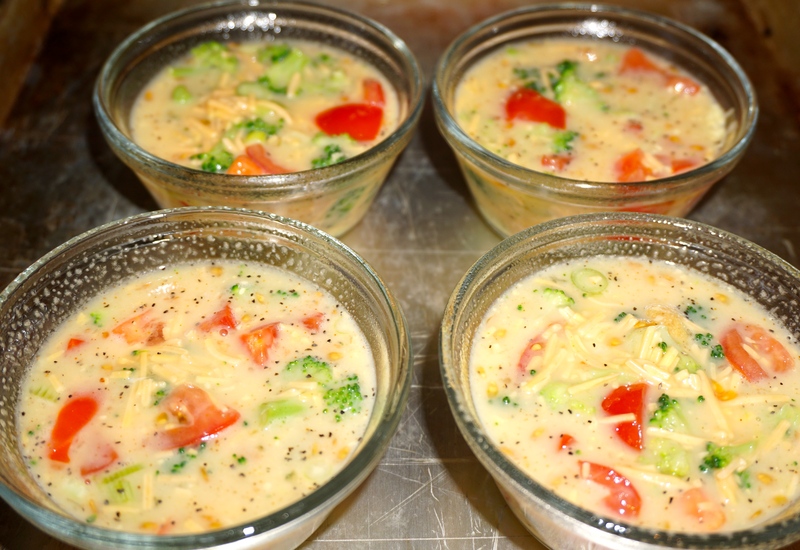 Stir in cheese, tomatoes and broccoli. 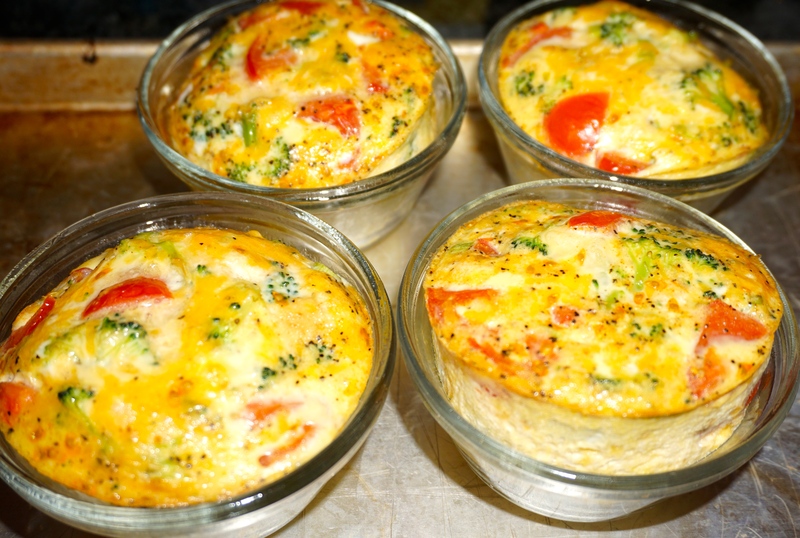 Spoon the egg mixture evenly into each ramekin. Bake until egg is cooked through, and golden brown, about 30-35 minutes. Serve with a salad, or extra veggies or just as a side dish for your protein or why not have it as a snack! Prev Thai Green Curry Sauce makes it all better……. Next For the love of lemons…….a fab carb free yummy salad!